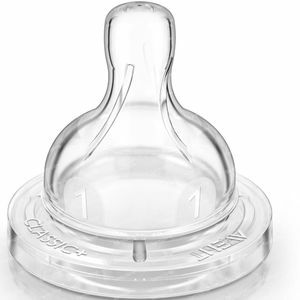 Avent Classic+ Suction Weaning Newborns 1 Hole SCF631/27 2 pieces order online. * At 2 weeks of age, babies fed with a Philips Avent bottle showed less colic and significantly less fussing at night compared to babies fed with another competitor bottle. 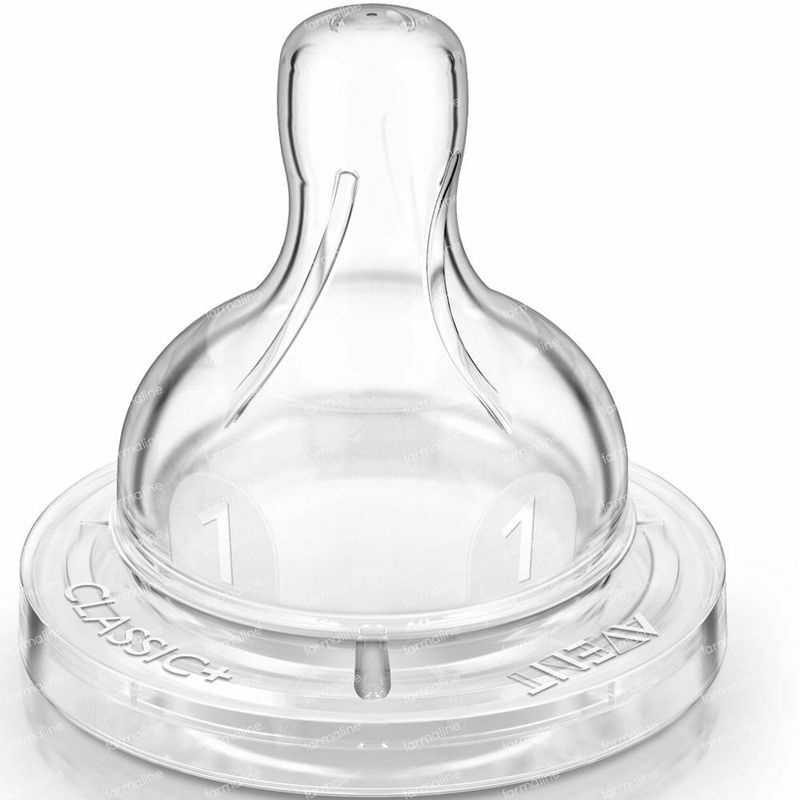 * Teat design proven to prevent teat collapse and associated air ingestion and feeding interruptions. * What is colic and how does it affect babies? Colic is caused in part by swallowing air while feeding, which creates discomfort in a baby's digestive system. Symptoms include crying and fussing.